A man who told a woman he was the "Grim Reaper" before he beat her to death with a brick has been jailed for life. Adam Thomas, 24, of Trinfield Avenue, Exmouth, Devon, was found guilty of murdering 35-year-old Sharon Stokes in her flat in Rolle Street, Exmouth. 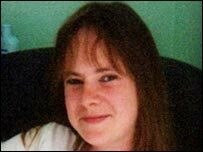 Exeter Crown Court heard he told Ms Stokes he was a "monster" before killing her on Valentine's Day after meeting her in a nightclub. He must serve 15 years in prison before he can be considered for release. Thomas, a former Portsmouth University business studies undergraduate, had maintained he should be acquitted of murder but convicted of manslaughter on the grounds of diminished responsibility. Forensic psychiatrist Dr John Sandford told the court Thomas suffered from a psychopathic personality disorder and a depressive illness and had had violent fantasies since his mid-teens. He began to get involved in acts of violence which he sometimes provoked and "quite enjoyed being in a state of uncontrolled anger", the court heard. Dr Sandford said Thomas had some psychiatric help, but did not think it was enough and wanted to be locked up. 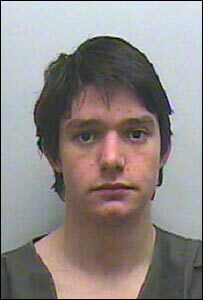 Exeter Crown Court heard Thomas previously tried to drive through a bank because he wanted to be sent to prison or sectioned. The court also heard from his mother, nurse Karen Thomas, who said her son had needed help and had "wanted to get himself taken out of society". She said Mr Thomas was given a psychiatric assessment, medication for depression and was put on a waiting list for an appointment with a hospital mental health team. The court heard that when a health crisis team told her he had been released, she thought he would kill himself. Martin Meeke, for the prosecution, said they accepted Thomas had an abnormality of mind, but not to the extent that it impaired his responsibility. On the night of the murder he had drunk six bottles of lager and paid for champagne for a group of girls. He was seen in the club kissing Ms Stokes, who he did not know, and later left the club with her. The court heard he told the police: "I just wanted to punish her by killing her." He told police he was amazed that she had not died when he had repeatedly kicked her and stamped on her head so he picked up the brick door stop, hitting her with it several times. "I was feeling powerful and I was quite enjoying the experience." Judge Graham Cottle told him: "It was the excessive consumption of alcohol that night that was the trigger for you to act out your violent fantasies. "You show no regret, no remorse, not a shred of emotion. There can be no doubt that you pose a very serious danger to the public. "Whether you will ever be safe to release is a matter for serious conjecture." After the sentencing, a Devon and Cornwall Police spokesman said: "In convicting him today the court has made Devon and Cornwall a safer place and given Sharon's family the opportunity to have closure on what has been an extremely distressing time." Adam Thomas carried out a "savage and brutal attack"